In: ESANN 2019 Proceedings. 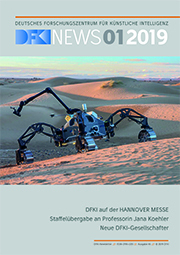 European Symposium on Artificial Neural Networks, Computational Intelligence and Machine Learning (ESANN-2019) The 27th European Symposium on Artificial Neural Networks, Computational Intelligence and Machine Learning April 24-26 Brügge Belgium i6doc 4/2019. In: 11th IFAC Conference on Control Applications in Marine Systems, Robotics, and Vehicles. IFAC Conference on Control Applications in Marine Systems, Robotics, and Vehicles (CAMS-2018) 11th IFAC Conference on Control Applications in Marine Systems, Robotics, and Vehicles September 10-12 Opatija Croatia IFAC 2018.